Just a few weeks ago we took our family to Disneyland, Paris. The culmination of years of dreaming and pleading from our eldest child, and a venture into the unknown for Hazel, who has Down’s syndrome. Our first trip abroad, lots of strange sights and sounds. We wondered how she would cope. I’ve always thought that anticipation is as much a part of an event as the event itself. The build up. As a child, I spent weeks, if not months, getting excited about Christmas, or my birthday, or our annual family holiday. My eldest daughter is the same. I encourage her in it. Christmas decorations go up at the earliest opportunity. Surprising her the night before we were going to Disneyland was never an option. I wanted her to look forward. Anticipate. Get excited about what the future held. So we told her we were going, weeks in advance, and enjoyed her excitement as the trip came nearer. So I’ve always felt a little sad that Hazel is not able to join in the anticipation in the same way her sister does. She has no idea that Christmas might be coming. The night before her birthday passed like any other. No staying awake for hours on end, too excited to sleep. And, on Disneyland Eve, to sleep she went and to sleep she stayed until she was woken the next morning by her sister – who was desperate to get to France as quickly as possible. After all, Aurora was waiting...though possibly still fast asleep in her fairy tale castle. Feeling sad and reflecting on what I think Hazel may be missing out on in life is a trap for me. It’s all too easy to start a pity party of regret and over-indulge at the table of if only’s or I wish’s. And, on the journey to Disneyland, I dwelt on this particular if only and it made me sad. Whilst Hazel, not really understanding where we were going or why we were in the car for so long, just carried on looking out of the window. Happily so. Fast forward to breakfast the next day and we were sitting in the Hotel restaurant. Eldest child unable to eat for the excitement of all she is about to experience. And Hazel…well, unable to eat full stop. Tube fed since birth and largely indifferent to food. Playing contentedly with a fork or a napkin, I forget which. No idea where she was but seemingly very happy to be there. And then she saw him. For the first time in her life. Giant shiny black ears, shiny black nose and the biggest hands she had ever seen in her short life…. A familiar face to millions maybe, but not to her. I held my breath. Anticipating Hazel’s panic and uncertainty about this larger than life character. Sensory overload never far away. But the opposite happened. Hazel’s face lit up. Literally. It shone. Her eyes sparkled and joy spread from her face to her entire body. Hands waving furiously, body contorting with delight. A little girl in love. Hazel experienced joy. True and unadulterated. A joy that comes in the moment, out of the blue, from nowhere. A joy that knows no build up or anticipation. Exploding, overwhelming, joyous joy! It blew me away. I can’t remember a moment quite like it. One of the reasons I love Disney are the larger than life characters with their ridiculous plastic smiley faces, and colourful costumes. They need no introduction. Each one……Pinocchio, Minnie, Donald and Tigger, but especially Mickey, took their time with Hazel. Coming down to her level and gently touching her face. Not rushing on to the next person, but making her feel valued. Welcomed. Loved. The Disney Princesses couldn’t compete. Hazel’s joy was replaced with an equally priceless look of sheer boredom whenever we met one. Total indifference. The smiles were fake and she knew it. They tried. Ariel gave it her best shot. Snow White just gave up. Mickey and friends were the true joy givers. Unconventional, with their oversized heads, enormous hands and feet, eyes the size of dinner plates. Features that in real life may be regarded as ungainly or even unattractive. Yet these were the characteristics that brought Hazel the most joy. Spending time in their company was a delight. And now, I wonder if knowing about the surprise in advance would have made the experience any greater for her? I doubt it. Hazel lives in the moment. She experiences life as it happens and she is all the more joyful for it. More than anyone I know, Hazel lives one day at a time. And, because she does, the opportunities to be surprised by joy are limitless. It’s always good to make friends with real people from all walks of life. I like it when people make friends with Hazel. 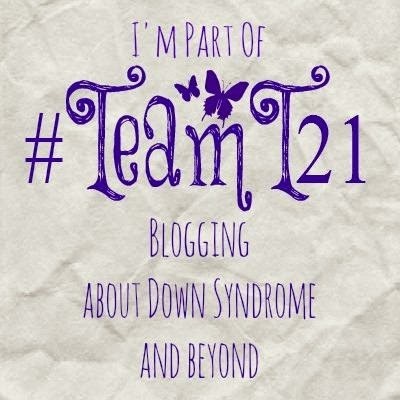 Categories: Down Syndrome, Down's Syndrome, Joy, Trisomy 21, Uncategorized | Tags: #anticipation, #disneylandparis, #dontscreenusout, #downssyndrome, #downsyndrome, #friends, #holidays, #mickeymouse, #team21, joy | Permalink. What a wonderful blogpost. We can learn so much from Hazel…living in the moment and experiencing joy!